Under a plan released Monday to merge St. Louis and St. Louis County, St. Louis County Executive Steve Stenger would become the first "metro mayor" of the merged government. Better Together’s decision to place Stenger in that position is both consequential and controversial for his political foes. Backers of the merger plan contend it makes sense to have existing elected officials preside over a complicated transition. 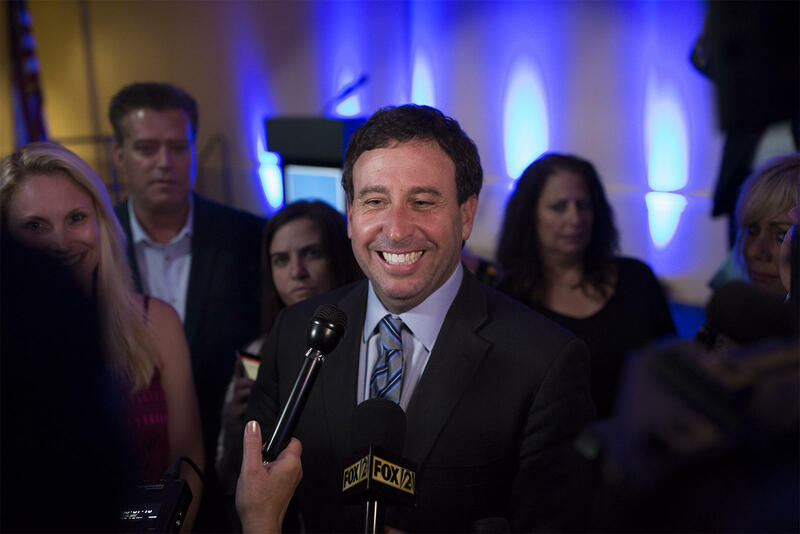 St. Louis Public Radio's Jason Rosenbaum looks at the possibility of St. Louis County Executive Steve Stenger becoming the first "metro mayor." “I think it’s a prudent step that we have to form this interim sort of government in order to succeed in the long term,” said St. Louis Alderman Tom Oldenburg, a 16th Ward Democrat who is enthused with Better Together’s plan. Even some people open to Better Together’s proposal are leery of giving that responsibility to Stenger, who has had a tempestuous relationship with St. Louis County Council members over the past couple of years. Other merger skeptics don’t like how three St. Louis County officials will initially serve as metro mayor, assessor and prosecutor when city residents never voted for them. Under Better Together’s proposal, Stenger becomes the metro mayor after 2021. St. Louis Mayor Lyda Krewson will become the “transition mayor” that would help Stenger make key decisions on how to bring St. Louis and St. Louis County together. Stenger, St. Louis County Assessor Jake Zimmerman and St. Louis County Prosecutor Wesley Bell would serve as metro mayor, assessor and prosecutor until early 2025. All three of those officials’ current terms expire in early 2023. Better Together officials said they kept it this way because they didn’t want legislative and executive branch elections going on at the same time. In many respects, Stenger would become much more powerful as metro mayor than county executive. The metro mayor would get to appoint people in charge of critical services, and, along with Krewson, help appoint at least one university faculty member to draw the map for a 33-person council. The mayor would have line-item veto power — meaning the officeholder makes the final call over a myriad of key policy decisions. Will Ross, a member of the Better Together task force that came up with the city-county merger proposal, said his colleagues intentionally designed a metro mayor’s office with a lot of power to avoid some of the pitfalls of the current St. Louis mayor. That office, he said, is significantly weaker, since the comptroller and Board of Aldermen president have a big say over financial matters. Will Ross, the associate dean for diversity at Washington University, was part of a panel tasked with coming up with a plan that could overhaul St. Louis' government. He said task force members looked to Louisville, which merged its city and county governments in the early 2000s. “It makes sense to identify individuals who are elected from the largest governmental entity — in this case in St. Louis, it will be St. Louis County — who could serve as intermediaries until the new metro council is enacted and a metro mayor is elected,” Ross said. St. Louis County Councilwoman Lisa Clancy is sworn into office on Tuesday afternoon. Jan. 1, 2019. The Maplewood Democrat is open to Better Together's plan, but has some reservations about Stenger assuming more power. Some merger proponents have contended it’s foolish to dismiss Better Together’s proposal because of political differences with Stenger. But his potential ascension has not been without criticism. After all, Stenger has been at odds with the St. Louis County Council since early 2017. His adversaries accuse him of being uncommunicative, pointing to how he hasn’t showed up to council meetings in weeks. And he’s also faced scrutiny for months about his influence within the St. Louis Economic Development Partnership. “When I saw that, then I really thought they lost their minds,” said Councilwoman Hazel Erby, D-University City, a frequent Stenger critic. Councilman Ernie Trakas, R-South St. Louis County, who has also clashed with Stenger, said he doesn’t like the prospect of giving Stenger more power over more people. While emphasizing she’s still looking over the Better Together proposal, Councilwoman Lisa Clancy, D-Maplewood, said she’s keeping an open mind — especially since she campaigned last year on closer relations between the city and the county. The Rev. 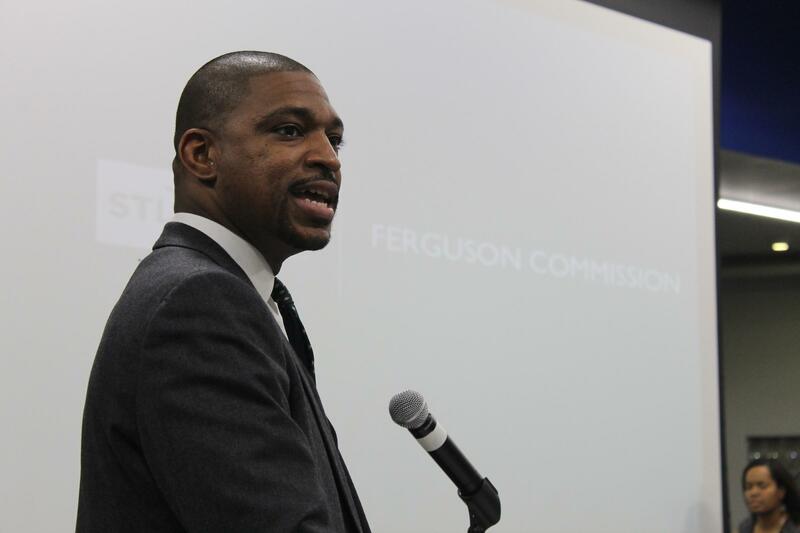 Starsky Wilson speaks at the final meeting of the Ferguson Commission in December 2015. The Rev. 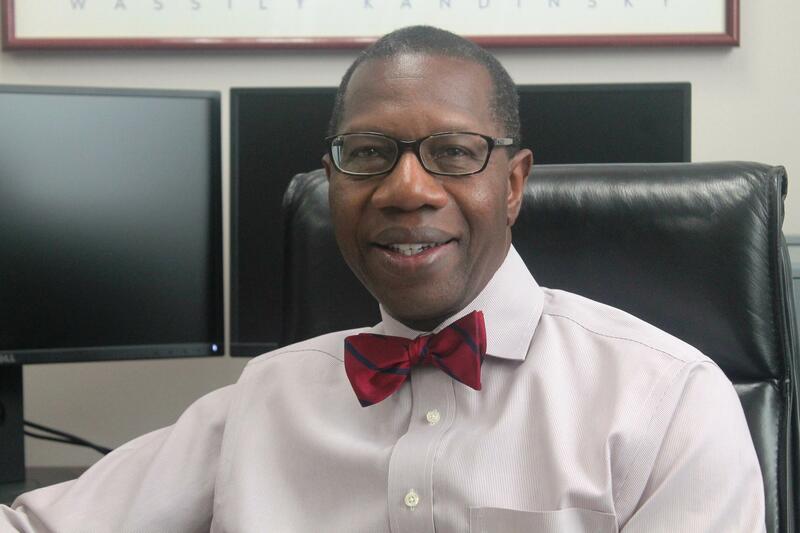 Starsky Wilson, CEO of the Deaconess Foundation and co-chairman of the Ferguson Commission, said there are bigger problems with the Better Together proposal than just Stenger. Wilson, a St. Louis resident, said it’s deeply problematic that the first metro mayor, prosecutor and assessor will be county officials that city residents never elected. Better Together officials have said their plan requires changing Missouri’s constitution to consolidate municipal courts and police departments — which, in turn, requires a statewide vote. He also said some of the criticism of placing county officials in charge has a lot to do with lingering animosity over Stenger’s 2014 Democratic primary victory over then-St. Louis County Executive Charlie Dooley. St. Louis Alderwoman Annie Rice says how city residents are represented in a metro government will be a huge part of the Better Together debate. Like Oldenburg, she sees logic in having people already in office be a major part of the transition. But she also understands the pushback about county officials like Stenger gaining most of the power. Updated March 9 at 1:50 p.m. with second delay — Supporters of a bill that would keep protesters away from the driveway at Planned Parenthood's Central West End clinic will have one more chance to send it to Mayor Lyda Krewson. The sponsor of the so-called "buffer zones" again delayed a vote on the bill at the St. Louis Board of Aldermen Friday because not enough "yes" votes were in attendance. The board is off until April 16, the last day of the current session If members cannot get enough votes that day, they will have to start over. The St. Louis Board of Aldermen will wait at least another week to take a final vote on additional protection for women seeking services from the Planned Parenthood clinic in the Central West End.